"Closest to the pin" refers to exactly what is sounds like it refers to: the golfer whose ball stops nearest to the flagstick is closest to the pin or nearest to the pin. That's simple. The question is, why is this expression so common in golf? 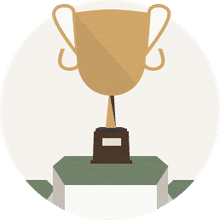 The biggest reason is that many golf tournaments (primarily of the charity, corporate, club and association kind) have a "closest-to-the-pin contest" or "closest-to-the-pin competition" as part of the tournament. A bonus competition, you might say, within the event. 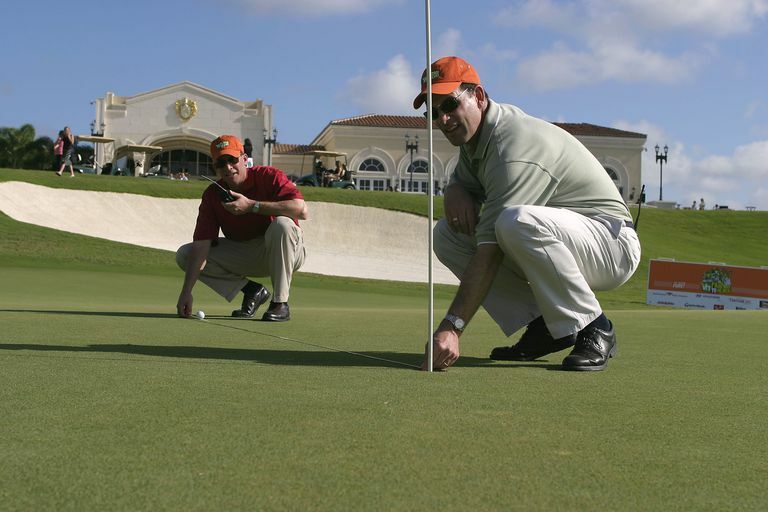 A group of golf buddies can also wager money on a closest-to-the-pin side bet during their regular round. Related: Why is "KP" the abbreviation for "closest to the pin"? Two or three or four golf buddies are playing a round together and, like many friends on the course, they enjoy wagering. One of the wagers they can use is the closest-to-the-pin bet. As a side bet, the golfers keep track throughout the round of which of them has stopped a ball on the green closest to the pin. At the end of the round, the one holding the KP shot is the winner of the agreed upon wager. The golfers need to set ground rules before beginning to avoid later disagreements: Can the winning KP happen on any hole, or only as the result of tee shots on par-3 holes? If any approach shot is eligible, then the golfers will probably agree on a minimum distance (e.g., shots from 120 yards and farther are eligible for the KP bet). KP is more common as a contest that runs during a tournament. Tournament organizers typically will select one par-3 hole, name a prize, and the golfer who, during the tournament, gets her tee shot closest to the pin on the designated hole wins the prize. Who's responsible for measuring? Depending on the value of the prize, tournament organizers might station a "judge" or "referee" on the KP hole, complete with a tape measure, to measure off the closest shots. This prevents any disputes later. Many times, though, the KP contest is based on the honor system among golfers. Tournament organizers will use what are called "proxy markers" - clipboards mounted on a peg so that they can be stuck in the ground - to which is affixed a notepad or sheet of paper. When the first group plays the contest's designated par-3 hole, the golfer in that group whose shot is nearest the hole writes his name on the proxy marker sheet and sticks it in the ground at the spot his ball came to rest. If someone in Group 2 beats that distance, they write down their name and move the proxy marker to the new location. And so on. Something you'll see at some charity tournaments: To raise more money, the tournament organizers will sell golfers extra chances - extra shots - on the designated KP hole. Or there will be a table set up on the designated KP hole to allow golfers who want another shot at the KP prize the chance to buy one (or two or three - three is usually the limit) on the spot. Closest to the pin contests are part of a category of tournament bonus games called proxy contests. "Closest to the pin" can also be called "closest to the hole" or "closest to the flag." K What? Why Is a Closest to the Pin Contest in Golf Called a KP?